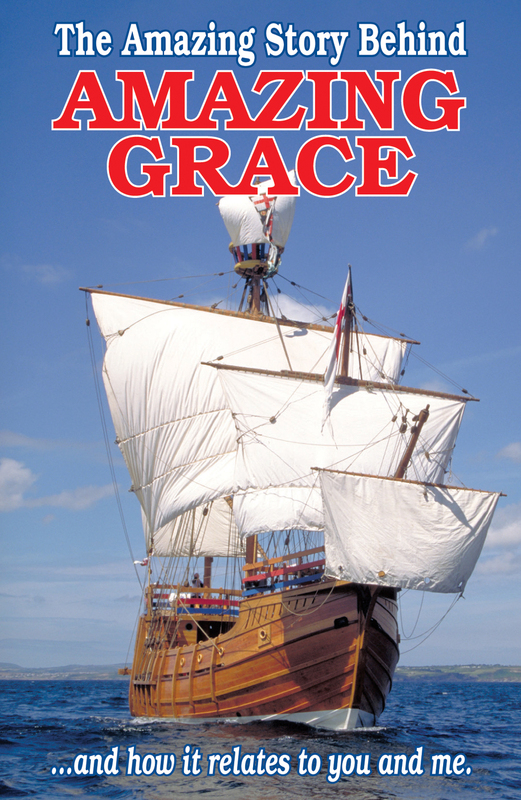 This ATS classic gospel message tells the story of John Newton, the writer of Amazing Grace, who was transformed from a wretch to a son of God…by God’s amazing grace. From the world-wide TV coverage of the Olympic Games, to the platform of the acceptance speech of the President of the United States, to the smallest church in the rural backwoods, everywhere—we hear the strains of “Amazing Grace.” Where in the world did we get that song? How does its story relate to you and me? The story of John Newton is truly the story behind “Amazing Grace.” One would be hard pressed to imagine, let alone to live, a blasphemous life equal to Newton’s early years. In his youth he became the captain of a slave ship, landing at least one load of his human cargo in Charleston, South Carolina. It is reported that at times he was so drunk and destitute that even his crew regarded him as little more than an animal. Once he fell overboard and his ship’s crew refused to drop a boat to him. Instead they threw a harpoon at him, with which they dragged him back into the ship. He seemed oblivious to the plight of the poor black souls chained in the hold of his ship. His willful and wanton disregard for all that is right and holy led him into a life plagued with despair, dangers at sea, abuse, public floggings, destitution, depression, near drownings and miraculous escapes. During those years Newton often entered into a state of spiritual awakening. Consequently those times were short-lived, and he invariably lapsed into a more wicked and loathsome direction. One particular harrowing experience at sea was used of the Lord to cause young Newton to seriously consider his standing before a holy God. After being at sea for several months with a load of lumber, livestock and beeswax, the ship ran into a violent storm. So severe was the gale that the otherwise seaworthy vessel was in danger of sinking. When the livestock were washed overboard, the crew tied themselves to the ship to keep from being swept into the sea. For four weeks, because of damage to the ship, the sailors despaired of life. Most of their waking hours were spent at the pumps to lighten the ship of water she had taken on. Rations were so low the men feared starvation. When they finally reached a port in Ireland, Newton began a sincere effort to become right with God. During that experience Newton became acutely aware of four things taught in the Bible. (1) I must realize that in my present condition I am a sinner before God. (2) I cannot save myself from eternal punishment in hell. (3) Christ has paid for my sins and my punishment with His death on the cross. (4) I must accept His crucifixion as payment for my sins, personally. “But as many as received him (Christ), to them gave he power to become the sons of God, even to them that believe on his name” (John 1:12). Two years later John Newton married his teenage sweetheart. During the following fourteen years, he continued studying for the ministry, and at age thirty-nine became a pastor in Olney, England. In 1779 Newton published a hymnal “The Olney Hymns” in which he placed 281 of his own works, including “Amazing Grace.” The melody that is so familiar to our nation is a traditional American melody published as early as 1831. The next time you hear the hauntingly beautiful “Amazing Grace,” remember that you, too, can experience the same saving grace as John Newton. In fact, you can do that right now! Just read over the Scriptures listed in this pamphlet, bow your head wherever you are, and ask Christ to come into your heart and be your Savior. ‘Twas grace that taught my heart to fear; and grace my fears relieved.